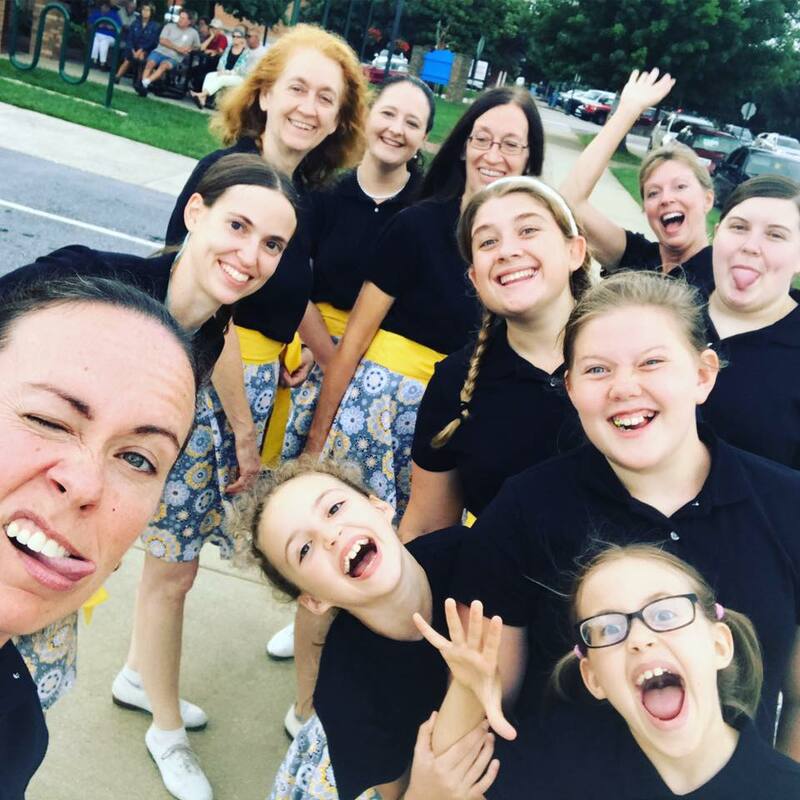 We are Western North Carolina’s largest recreational, non-profit, intergenerational, precision clogging team directed by Kate Guzy, one of the few nationally Certified Clogging Instructor’s in North Carolina. Our team performs at local festivals, charity events, nursing homes, private parties and all sorts of other events. We dance to many different types of music – from bluegrass & country to 80s/pop/hip-hop. Our #1 priority is having fun while we learn – and we sure do a lot of that! The Mountain Thunder Cloggers are a family-oriented team and we encourage mother/daughters, father/sons, sisters/brothers, etc. to join and provide them with incredible discounts. No previous dance experience is necessary to begin clogging with our team. We offer affordable beginner – advanced classes for ages 7 and up. We are based out of Asheville, NC but have members from all over Western North Carolina – including but not limited to: Waynesville, Fairview, Arden, Fletcher, Lake Lure, Morganton, Hendersonville, Black Mountain, Swannannoa, Canton, Brevard, Candler, Skyland, Weaverville, Marshall and Leicester.